Day 3 for Aishwarya at the 2014 Cannes Film Festival. She brought Abhishek too, and they're hosting the amFAR Dinner. I liked Abhi's take (on twitter) on Aish's Cannes outfits: "Been up for nearly 52 hours straight, can barely keep my eyes open. The Mrs. comes in looking like this. Eyes wide open now." ^Aww, that was very cute of him. He's right, Aishwarya has been slaying it this year at Cannes. The dresses, hairstyles, and makeup she's had so far are stunning. Edit: I'll also add in a picture of Aishwarya with Marion Cotillard at the amFAR Dinner yesterday. She was at LifeCell's Stem Cell Bank launch in Chennai on July 27, 2014. She was also with Abhishek at a Jaipur Pink Panthers match on July 27, 2014. Aamir Khan and Shahrukh are in some of the pictures too. I forgot that she was in Pink Panther 2-that must be why Abhishek named the team that. She's been looking great in these recent appearances. Completely agree. Says one who is part of the 35+ crowd. These are from November 1, 2014. It was Aishwarya's 41st birthday. She was at the launch of a Kalyan jewelry store in Mumbai on November 8, 2014. She looked amazing in that sari-like the commenters on High Heel Confidential said, you could easily take those to be pictures of her from 5, 7 years ago. ^I completely agree. It looks like she's ageing in reverse, and she looks amazing. I want to know what her beauty regimen is! 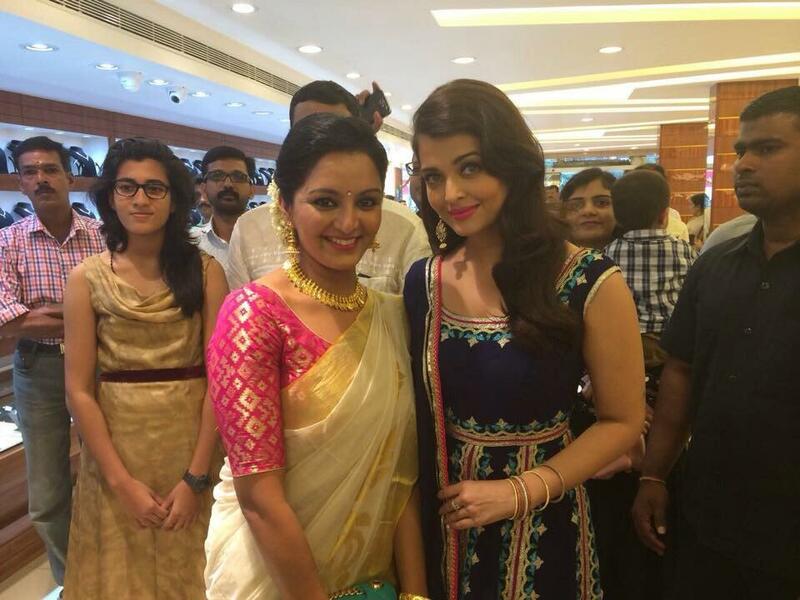 She was in Kerala for the launch of a jewelry store on November 30, 2014. This is for Aishwarya's new L'Oreal Paris ad. The short hair looks cute on her. And these are glimpses of Aishwarya's photoshoot for the 2015 Dabboo Ratnani calendar. I love it! She kind of looks like Rekha here. Gorgeous pic in the calendar, she looks incredible! Not crazy about the L'oreal pic, the makeup is too pale and is oddly aging her. Aish is one of those rare women who look better with a darker lipstick, like she did in Guzaarish, the dramatic look suits her.